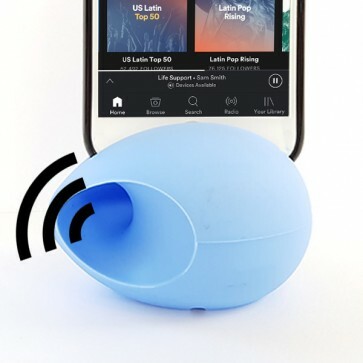 Two in one: Phone holder and acoustic sound amplifier. Wireless and no batteries needed. 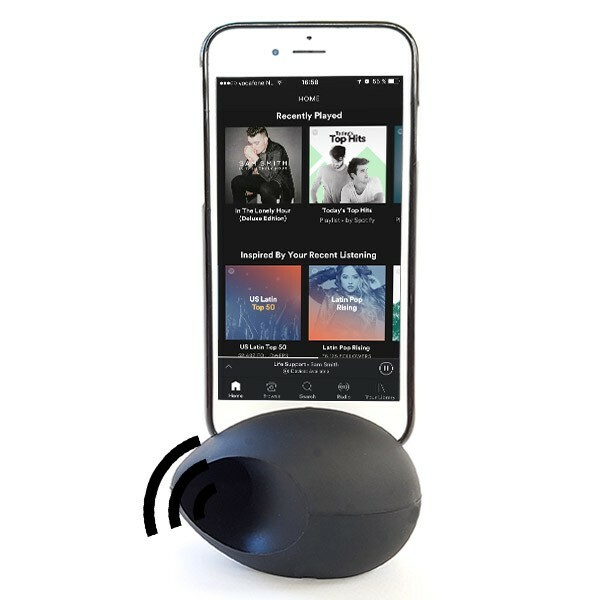 The new Egg Beats Mini Acoustic Sound Amplifier is a phone holder which amplifies the sound 4 times louder. 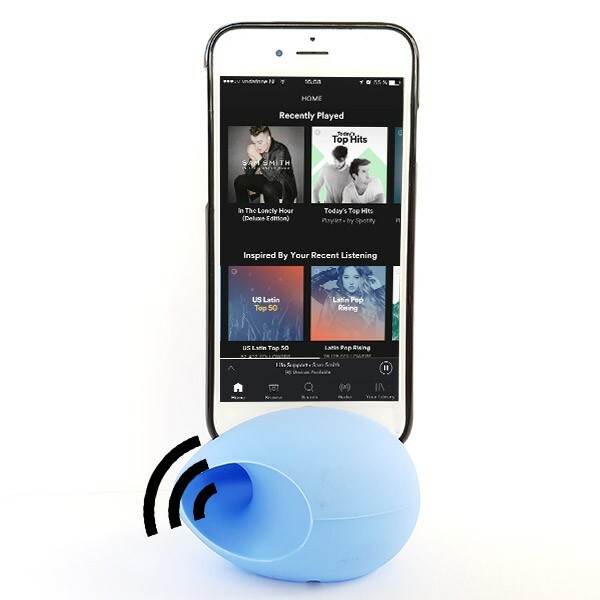 Perfect size and easy to carry, you can listen to your music anytime, anywhere! 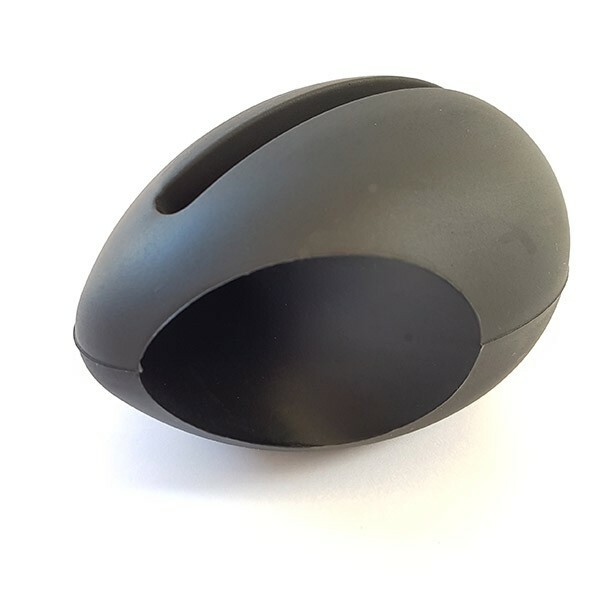 Practical and handy wireless device, forget about the annoying cables. 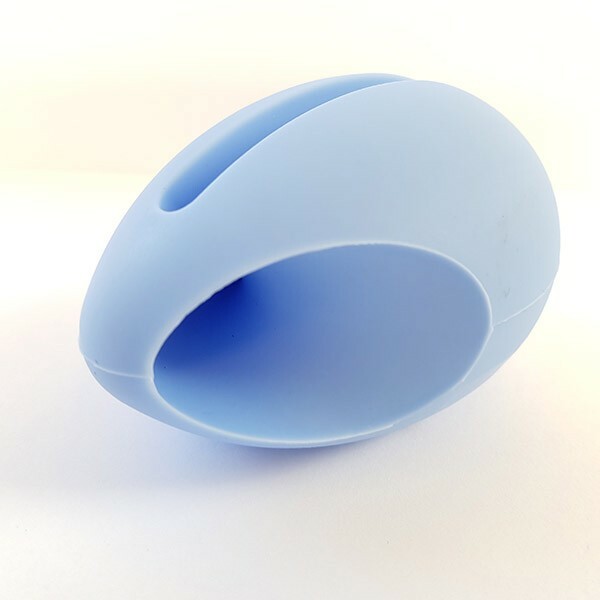 Furthermore, it will never let you down because no batteries are needed! And if your phone is dying, you can still charge it while using it without any trouble thanks to its structure. Choose between colours black, blue and pink. Available now for iPhone 6(s), iPhone 7, iPhone 8, Samsung Galaxy S6 (Edge), Galaxy S7 (Edge). The new Egg Beats Mini: the audio amplifier without cables or batteries!